When Ryan originally asked me to summarize the CPU news of the year, I laughed. A lot has happened this year, from processor releases and reviews, to security issues, to discussions over the next few years of computing. However, a few weeks ago, I wrote a script to pull every AnandTech article from our archive and filter it into my own database for analysis. It turns out that the AT staff between us wrote just under 200 news articles and longer reviews on CPUs this year, and here are the highlights. In discussing CPUs, at least on the desktop market, our attention is focused on two companies in particular: Intel and AMD. 7 had (and still is) 2018 when companies proposed a mix of software and firmware fixes for wilderness hardware, trained security teams, and sought hardware fixes for future products. In essence, any high-performance processor ever built-Intel, AMD, ARM, and POWER-is vulnerable to some degree, and every major company made official statements about the problem. Software and firmware fixes for multiple generations of processors were released by 2018, and new products blocking "some" of these attacks were released in the second phase of 2018, though it will become more serious in 2019. Some of these fixes cause regression for some tasks, mostly at the enterprise level. However, this is a topic that will be the focus of every CPU start of 2019-2020. The CES Fair was not one of our busiest fairs, so as not to be outdone by security news. AMD started the process with a full day of discussions, keynote speeches and disclosures. The key to AMD's presentation is that the new Zen microarchitecture products, Ryzen and EPYC, pave the way for the future. In the presentations, in 2018, AMD showcased roadmaps for product launches, including new APUs, a new range of desktop processors at 12nm with Zen + updates, the second-generation thread ripper at the top, and a boost to 7nm Vega GPUs at the end of the year . This was a very well-presented presentation by AMD, showing that they have roadmaps and are ready to get involved. In addition, AMD reiterated its long-term roadmap for CPU and GPU technologies by 2020. One important highlight was the interview with AMD's CEO Dr. Ing. 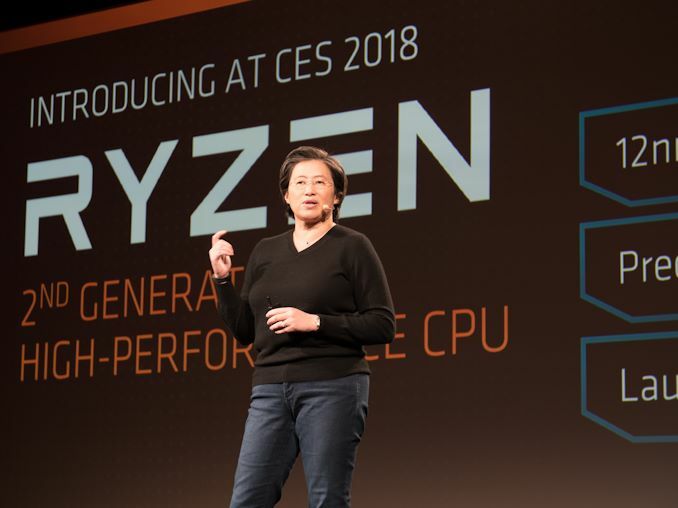 Lisa Su, how AMD will tackle its new era. Intel had its usual keynote speech at the now-taking CES Former CEO Brian Krzanich, who briefly dealt with the security issues, talked mainly about drones and the connection of humans, but did not mention the company's progress in the next generation of process technology instead, at the end of a brief 9-minute presentation the next morning at 8 o'clock, Gregory Bryant, SVP of the Client Computing Group, mentioned the company. The news was not that great: Intel confirmed that it achieved sales of 10nm in 2017. It was literally as short as a sentence. No word on the progress of technology or future schedules. In January, however, there was some upward movement for Intel. 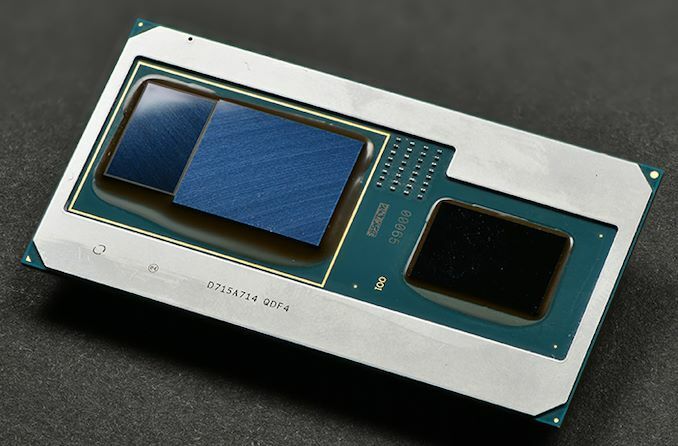 The company released its most powerful integrated graphics solution, Core's SoCs with Radeon RX Vega Graphics. These processors used quad-core mobile chips and combined them with a custom AMD Polaris graphics solution, all containing the same processor package. 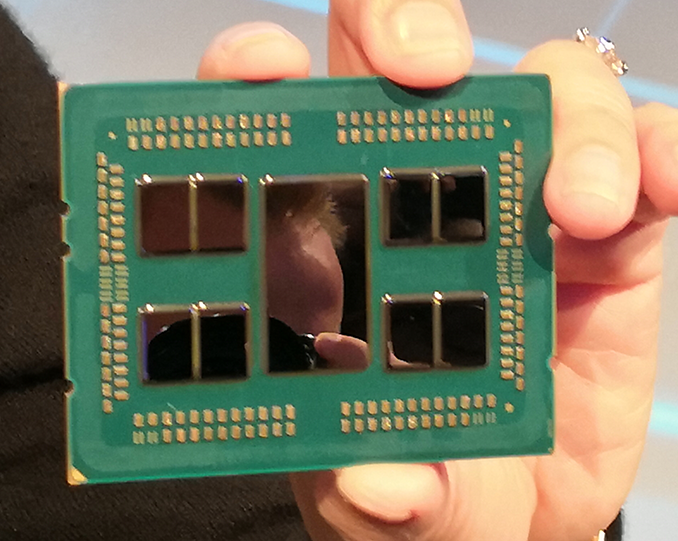 The graphics chip was connected to a stack of HBM2 memory using Intel's EMIB technology, which kept the package small. The offers ranged from 65W to 100W TDP. The goal was to provide slightly less than discrete graphics solutions in a thin and lightweight form factor. The HP Specter x360 and Dell XPS 15 have both been updated with these options. Later in the year, there was a Hades Canyon NUC, a Chuwi HiGame Mini PC, and a Dell Precision device. February: Visit to GlobalFoundries  The transition from January to February is usually slow in the industry as the Chinese New Year begins. Depending on the company, this can range from a one-week break to a three-week break so we do not see many of them. The product will be launched late January / early February, unless the factories have sufficient inventory or the fabs Chain is not involved in China. 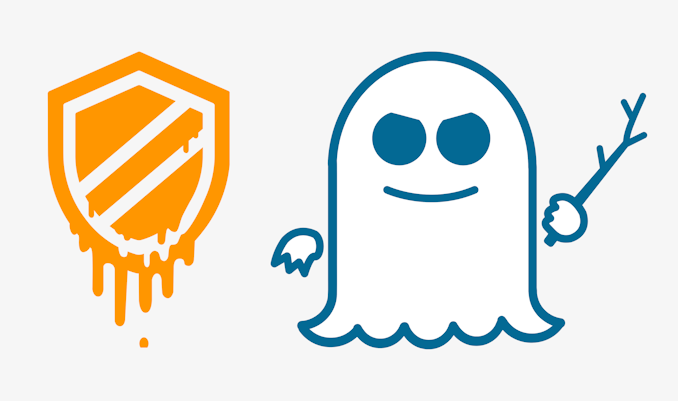 Intel kicked off the month with a reaction to the Specter and Meltdown questions by formally announcing the creation of the Product Assurance and Security Group (which was technically announced in January but was not formal by that time). The group's strategic goals were unclear, except that the group will unify Intel's cross-company efforts to continuously improve product safety. In the first week, Intel also launched its Xeon D-2100 platform over its previous Xeon D-1500 lineup. These processors differed from the older ones because they were essentially the same as the scalable Xeon processor family rather than atomic nuclei, but with lower frequency and lower TDP, but focused on integrated networking and QuickAssist functions. Parts are available in the market with up to 18 cores. A "bunny suit" for the interior of the factory. Unfortunately, no pictures are allowed. 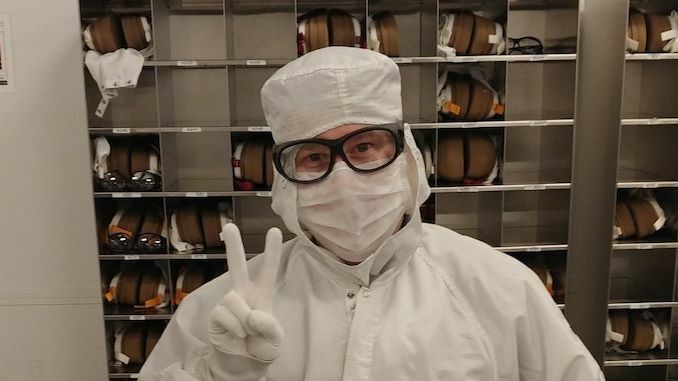 Also in early February, Nate and I visited GlobalFoundries Fab 8 in Malta, New York. At that time, GF was the city's topic of conversation after successfully implementing AMD's strategy with Ryzen and EPYC and looking forward to 7nm and EUV products. A look into a modern factory is indeed a rarity, and it opened our eyes to the fact that these are more than just black box factories and are required by the latest technologies and setups. We also interviewed CTO Gary Patton on the future and future of GF until 2018. On AMD's side of the fence, the company released its first desktop APUs combining Zen cores and Vega graphics in a desktop form factor. The Ryzen 5 2400G and the Ryzen 3 2200G both offer compelling features: reasonable 720p gaming with four cores starting at $ 100. With the processors came a series of storage coolers that shame everything else. AMD also launched its EPYC embedded platform, which offers a range of Ryzen-like integrated system products. The Quiet Quarter of the Year, Judging by Absolute CPU News, was the quietest month of the year. A few big elements came to the fore. Apart from our analysis of large base plate Ryzen thread ripper coolers, such as the Noctua NH-U14S TR4-SP3, Intel discontinued the # 1 P & # 39; family of Poulson Itanium processors and set the penultimate nail in this product family. When the security issues of Specter and Meltdown were not enough, several other security issues came to the fore. A previously unknown security company, CTS-Labs, announced that it had found several vulnerabilities in ASMedia chipsets and AMD's Secure Processor. We covered the topics in detail, but there were many questions about how this announcement came about: the security firm did not provide companies with any form of responsible disclosure (they even said it was a bad idea), and did not provide any details about the site's vulnerability to promote the issues, commissioned a public relations firm to produce professionally crafted videos on the issues, and some supposedly independent financial firms were ready with multi-page documents showing that AMD was worth zero. In our interview with the company, it was clear that there were technical misconceptions, and when we asked about the sponsors for this project, the call ended abruptly. I've included TechTeamGB, a two-hour podcast / video on the topic that's worth seeing. After a week analyzing the findings, AMD issued an opinion on the matter. The truth is that most of the exploits were secondary vulnerabilities – they initially required elevated privileges. However, AMD confirmed that corrections would take effect quickly. The security company has not been heard since then, and the website they created to promote the issues no longer exists.